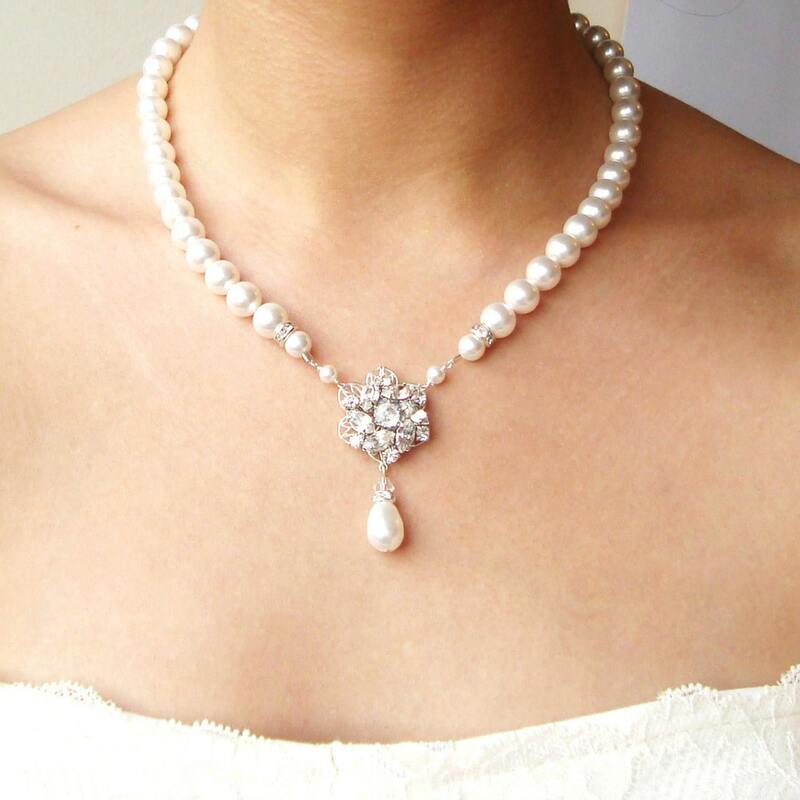 This lovely bridal necklace features a glamorous rhinestone flower pendant centered amongst Swarovski pearls with a teardrop dangle from the pendant. The flower size is just under 1". Finished with a sterling silver bolt ring clasp + 2 " extender chain.